The mold-proof, waterproof, DIY-friendly shower system! Build your shower and be ready for tile same day. The easiest way to create a custom shower with a 10-year manufacturer's warranty. If you can dream it, you can create it with Wedi! 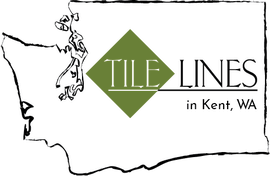 Learn how to build a Wedi custom shower with the friendly folks at Tile Lines! We will use use this info to contact you in the event of a class change or cancellation. Your privacy in important to us and we will not sell, disclose, or give away your information. Can't make it to our store? Buy a Wedi Kit Online!